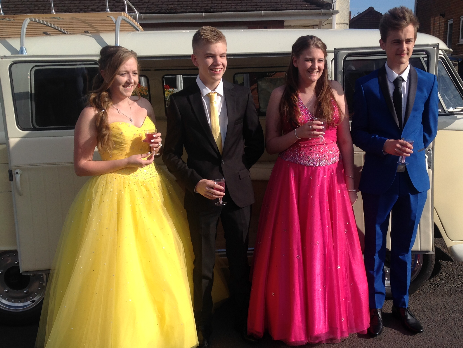 Doris Days Out offers a chauffeur driven service for weddings, proms and other events. Our husband and wife team provide a professional and friendly service where nothing is too much trouble. We will ensure that your special day is unforgettable by ensuring that all your requirements are met to your full satisfaction. Please take a look at some of our example packages for hiring Doris. We’re able to accommodate all sorts of occasions so please feel free to send us a message or give us a call to see how we can make your big day that extra bit special. The wedding day package includes cream/white ribbons, artificial flowers and champagne. Anything else is extra, such as fresh flowers to coordinate, balloons or chocolates, even a picnic or afternoon tea in the New Forest. 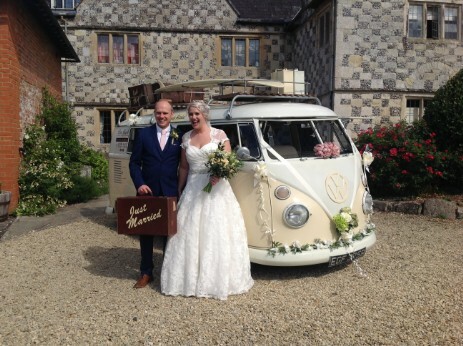 Doris is chauffeur driven from your chosen location to the wedding venue and onto the reception. We make sure that we’re only at one wedding per day meaning there’s plenty of time for photos. The standard base rate of the wedding package is £375.00. Please get in contact for a more detailed quote, we will organise the quote based on the information specified in your message. We look forward to hearing from you! We have a 25 mile hire radius for weddings but can consider further distances depending on the location.We require a £75 deposit, which is non-returnable to secure your booking, and full payment must be made 4 weeks before the big day. 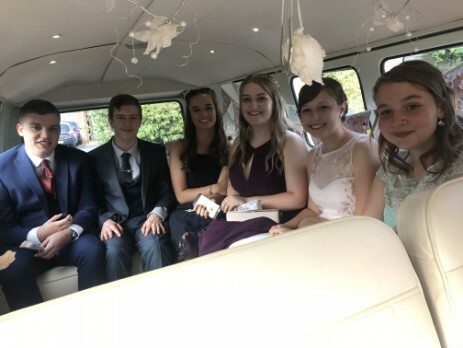 Our Prom Night package has a hire radius of 25 miles, this package is priced at £100-£150 depending on distance and times. 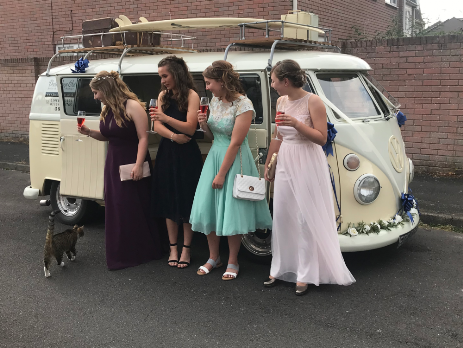 The prom packages include a bottle of non-alcoholic bubbles, and ribbons. Please note that our Prom Night service is one way only.